No. We’re not a food shelter. Not at all. Let us explain our brand and how it was born. We’re Food Shelter Public Relations. We like to think the basic needs for survival in life are food and shelter. For the last decade, we’ve been providing companies with specific fundamental tools to succeed in their respective markets. A dynamic, tenacious team of professionals with more than 25 years of combined experience, our candid, committed approach gets results. We focus on creating unique campaigns tailored to each client, and provide large agency services while offering individual, boutique firm attention to every detail. Whether launching a service or product, building a reputation, or reaching corporate sales initiatives, we know a targeted marketing and communications campaign is vital for future success. As Co-founder of Food Shelter PR, Joanne has 20 years of experience in the corporate, agency and non-profit industries. She brings with her a firm knowledge of the hospitality and consumer industry pertaining to media, crisis management and branding on a local, regional and national level. In addition to setting the internal corporate culture for the Food Shelter office, she oversees the overall daily client programs as well as handles new business initiatives. Prior to Food Shelter PR, Joanne was the Public Relations Director at Restaurant Associates, a Compass Group subsidiary company, where she was responsible for external day-to-day publicity, marketing and event activities, in addition to internal corporate and investor communications. She also brought her PR expertise to M Booth and Associates, Ruder Finn, and the Boys and Girls Clubs of America. A graduate of Pace University with a degree in marketing communications and a minor in journalism, she is currently a member of the of Les Dammes Escoffier of Philadelphia, the Women’s Culinary Guild of Philadelphia, and the International Alliance of Culinary Professionals. She also holds a blue ribbon culinary degree from NYC’s Institute of Culinary Education and has worked with well-known chefs in New Orleans, Boston and New York. Lorraine Gimblett has 20 years of experience in public relations, event management and message development. Her expertise in media relations for national, regional, consumer, business and trade press is an invaluable asset to Food Shelter’s clients. In addition to providing strategic direction for media campaigns and client counsel, Lorraine spearheads new business initiatives on behalf of Food Shelter PR. Prior to Food Shelter PR, Lorraine was an executive at a public relations firm in New York City specializing in commercial real estate and design publicity. She has a thorough understanding of the dynamic commercial and residential real estate market and has represented brokerage firms, property owners, developers, architects, and engineers. She also served as the Marketing Director for Robert F. Kennedy, Jr.’s, bottled water company, Keeper Springs, executing sound marketing campaigns and increasing brand awareness. Lorraine earned a MA in Political Management from George Washington University and a BA from Roanoke College. She is a member of CREW Philadelphia and Co-chairs the organization’s communications committee. In addition, she is an active member of the organizing committees for Taste of Nation Philadelphia and the Philadelphia Vendy Awards. Mackenzie has had several years in the PR industry, representing everything from vegan face scrubs to child psychologists, and has had great success garnering top-tier media placements across the board. Prior to joining the Food Shelter team, Mackenzie worked for several lifestyle and beauty agencies in Manhattan. Mackenzie understands the importance of connecting to an audience, whether it’s through a newspaper, an online article, or an Instagram post. In addition to her pitching prowess, Mackenzie has planned dozens of successful events, with budgets of all sizes, and has helped create social media campaigns with several top-tier beauty and lifestyle influencers. She has also assisted in opening several retail locations for an international skincare brand, most notably it’s King of Prussia location. A 2011 graduate of Villanova University with a degree in English, Mackenzie is thrilled to return to the Philadelphia area and flex her PR muscles through the firms’ eclectic roster of craft breweries, and hometown spirits. 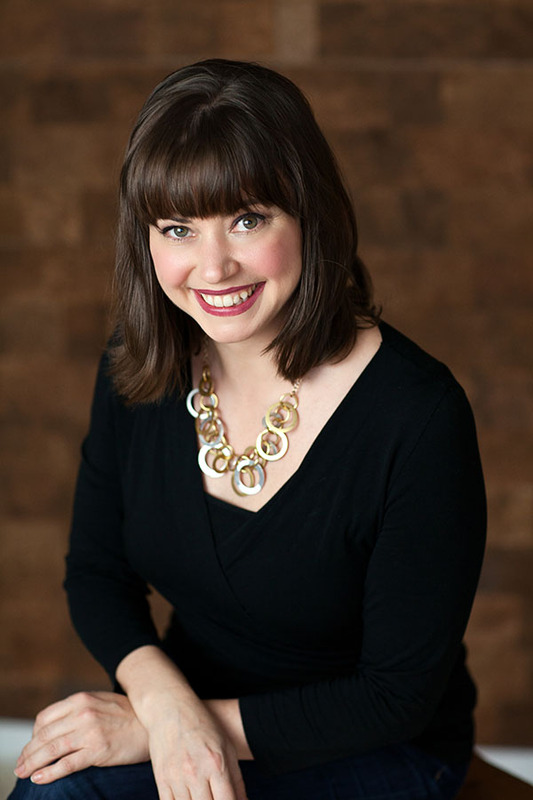 Morgan has 10 years of experience in public relations, event planning and client management. She brings a strong knowledge of the hospitality industry and strategic campaign planning to Food Shelter where she works with local and national media. Prior to Food Shelter PR, Morgan worked on media relations campaigns for Visit Philadelphia, focusing on leisure tourism. She also brought her client relations and event managements skills to a California tech company. Morgan graduated from Temple University with a BA in Strategic Communications and a minor in Art History. She is an active volunteer for Share Our Strength, an organization that aims to end childhood hunger in America through the No Kid Hungry campaign. She is the co-chair of Taste of the Nation Philadelphia, an annual culinary event benefiting No Kid Hungry. With over 25 years of design experience, Hudson is responsible for providing the overall creative direction, resources and products for Food Shelter PR. Through progressive thinking, comprehensive research and years of industry knowledge, he is adeptly skilled in matching strategic direction with appropriate design results. Prior to joining the Food Shelter PR team, he was Creative Director at Ogilvy & Mather and DBB Needham where he led the advertising and branding initiatives for Compaq Computer, Alta Vista, IBM, and Nestle. Michael Boghosian strengthens Food Shelter’s financial management through sound capital spending, payroll, annual philanthropy and accounting. By means of logic and reasoning, he is able to identify strong alternative solutions by considering relative costs and benefits of potential actions. At Food Shelter PR, Boghosian brings his remarkable ability to identify indicators of system performance in order to reach business goals.